Exploration no. 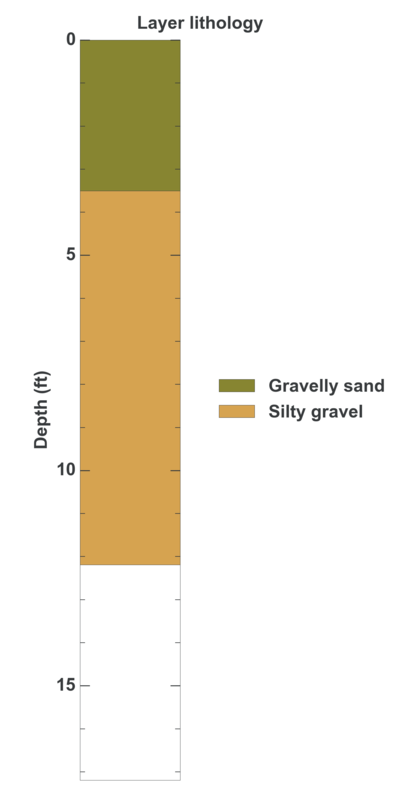 53175 is a Test pit (depth 12.2 feet) named: TP-2 described in subsurface document no. 9588. The document, a report titled Tacoma Second Supply Pipeline, Kent-Covington. Section was prepared by Shannon and Wilson, Inc. on 03-30-2001 for a Utility project.